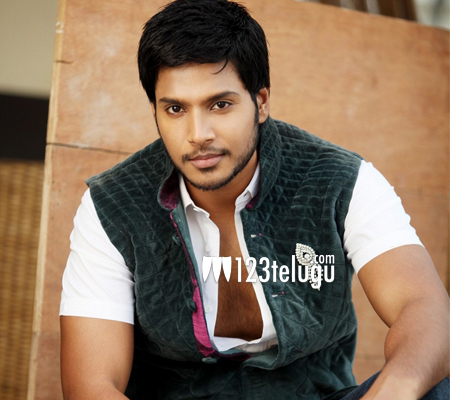 Young hero Sundeep Kishan, is rising high with every film he does. Beeruva is his latest presentation and is set for a grand release this Friday. We caught up with Sundeep for an exclusive interview. Let’s see what he has to say. Q) What is Beeruva all about ? A) Our film is an interesting love story which is based around a Beeruva, and how the hero uses it to win his love is the whole concept. It is an experimental film which is told in a total commercial format. Q) What was your reaction when the director narrated you this script ? A) Initially, I was reluctant to hear the script. But after Gemini Kiran garu asked me to hear the narration, I went ahead. After listening to the director’s complete narration, I was pretty sure that I should do this film. Q) How was it working with two reputed production houses ? A) I am very lucky to have associated with such big banners, and am very happy that they chose me for their film. I am eagerly looking forward for the release of this film. Q) Tell us about your co-star Surabhi ? A) She has done a wonderful job in the film. Her hard work and dedication towards the craft will take her to new heights in her career. I had a wonderful time working with her and our chemistry has come out quite well. Q) All the heroines who work with you become huge stars . How do you feel ? A) More than co-stars, they have become good friends of mine. So obviously, when your friends do well in their careers its a proud moment for me too. Q) Your last two films, Joru and Ra Ra Krishnaiyya did not fare well. What have you learnt from them ? A) Yes ! Joru was a disappointment, but Ra Ra Krishnaiyya did moderate business. I do not blame anyone for those failures but will be extra careful from now on and will be involved with the projects right from the inception stages. Q) Will you ever do experimental films ? A) I would love to do them, but it is more important for us to do films which the audience like, because they are the ones who are paying money to watch us. Q) Tell us about your upcoming project Tiger ? A) The teaser has received a decent response, and shooting of this film is nearing completion. Even with this film, we have tried to showcase something different which you will understand once the trailer releases. Q) Finally, sum up Beeruva for us ? A) This is a film which can watched by age groups between 6 to 60. Right from the first reel, there is a heavy dose of entertainment which will be liked by everyone.